Step 1: First up, you will have to jailbreak your iPhone 4 or 3GS on iOS 4.3.1 and preserve the old baseband using either PwnageTool on Mac, or Sn0wbreeze on Windows. Instructions on how to jailbreak iOS 4.3.1 using PwnageTool can be found here, and for Sn0wbreeze can be found here. After installation is completed. 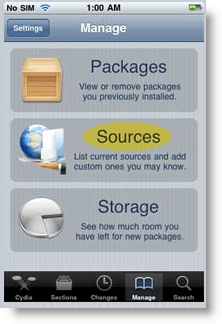 Search for “ultrasn0w 1.2.1” in Cydia and install this application. This app will automatically unlock your iPhone so that you can use it with any carrier. Step 3: Now simply restart your iPhone and voila! you should now have a fully unlocked iPhone 4 or 3GS, running iOS 4.3.1 !